Parenthood is truly one of the greatest and most rewarding experiences one can have. If you are having a child, you and your partner are probably running around in a mix of excitement and anticipation, and rightfully so. Bringing a baby into the picture changes a lot of things on the homefront, especially in terms of safety and space. It would be a good idea now to take the time to get everything in order for your new bundle of joy. To keep from stressing, make a checklist of what you need to buy and do before your due date. Below is a list of must-haves every parent should keep in mind! While your newborn son or daughter will likely be sleeping in a bassinet next to your bed for a few months, he or she is definitely going to need their own room. 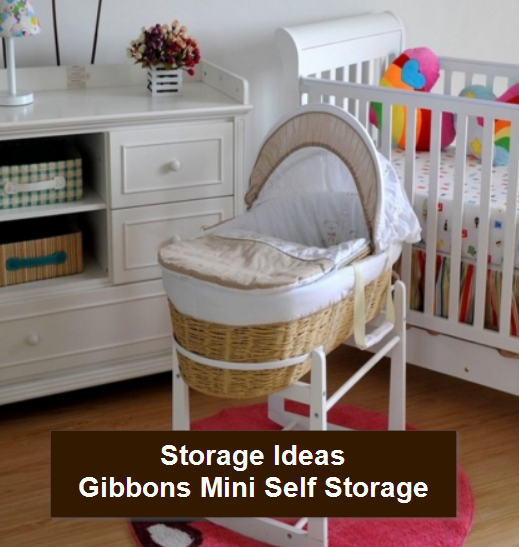 Make sure there is enough space available for the crib, rocking chair, changing table, and other nursery must-haves! You will need to have plenty of room for rearranging and later adding a toddler bed when the time comes. Consider placing existing furniture in temporary storage in the meantime. The baby safety product industry has grown immensely in the last decade; you can buy these items for virtually anything these days, but the standard list should include protective covers for electrical outlets, door knobs, toilets, and the like. A baby gate is another must-have investment, and one that you will be using every day. Of course, you will not want to forget to get a quality car seat as well! We cannot stress this one enough; no matter how many of the daily essentials you think you may need, you will always need more. Some parents opt for washable cloth diapers, but for those using disposables, running short on the supply is never fun. Newborns typically go through 7-8 diapers a day, so keep that in mind all you expecting parents! You will feel much better after you finish getting your home ready for the new arrival. The key is to take “baby steps” and not get too rushed. Have fun decorating the nursery and make a checklist. That way, you will know for sure that everything is in order by the time you have to go to the hospital.